Ages 13-adult. 2-6 players. Here is a cognitive-behavioral relapse prevention program for adolescents and adults recovering from alcohol and drug abuse. 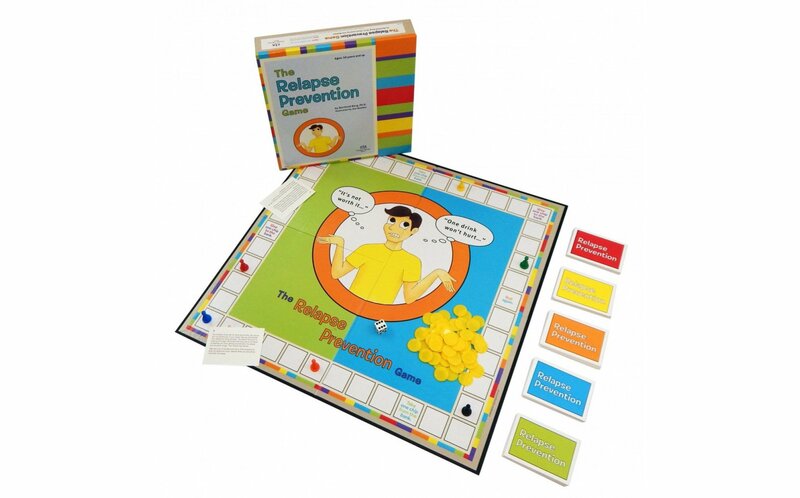 The game systematically prepares them to deal with the many threats to sobriety by identifying subconscious urges to use and countering them with conscious and rational arguments. By playing the game, individuals acquire the cognitive and behavioral skills necessary to sustain abstinence. A self-report inventory is included to help identify individual needs. Professional counselors can use this game with individuals or small groups. Because it requires minimal training, this game is also excellent for self-help groups. It can serve as the core of a cognitive recovery group, an adjunct to Alcoholics Anonymous, or an alternative for those who don't benefit from the AA approach to recovery. The structured format helps groups stay on task, and game cards assure that discussions touch on a wide range of issues. The game can be played with adolescents, who will enjoy its chance elements, or with adults, who may prefer to forego game play in favor of concentrating on the game cards.